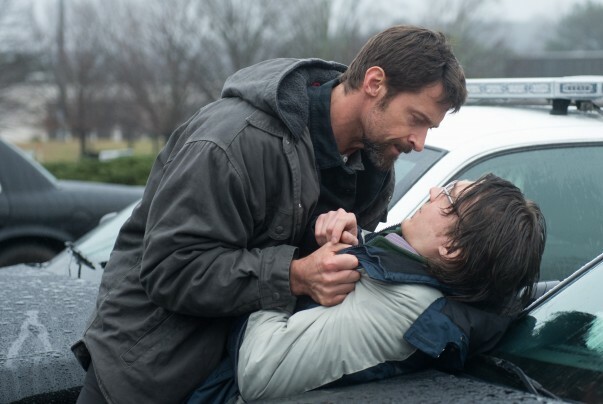 Starring: Hugh Jackman (The Prestige), Jake Gyllenhaal (Zodiac), Paul Dano (Looper) and more. Rating: Rated R for language, violence (sometimes disturbing and depicting torture). First off, before you start reading, did you watch the trailer? If you are not familiar with this title, then, in order to grasp the film’s context and character, do yourself a favor…take the 2 minutes and 28 seconds to watch the trailer above. 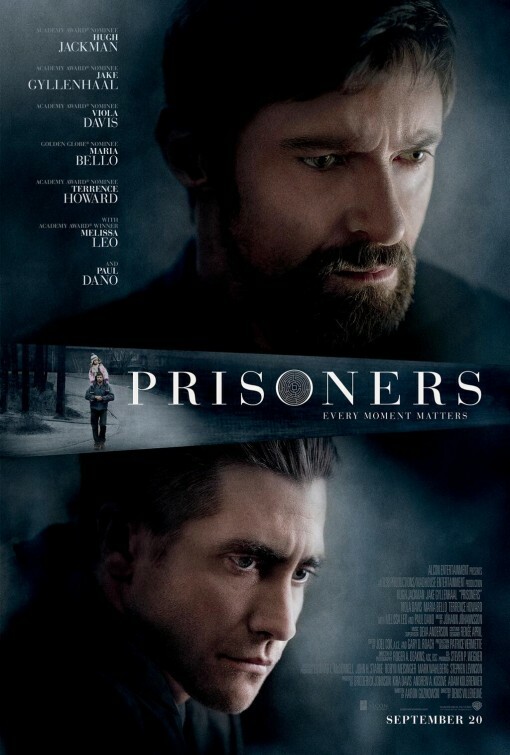 Prisoners is a smart and impressive thriller that contains so many elements necessary to call a movie “great” and not just “good.” Directing, acting, cast, locations, story, mystery, soundtrack, characters, cinematography, etc. 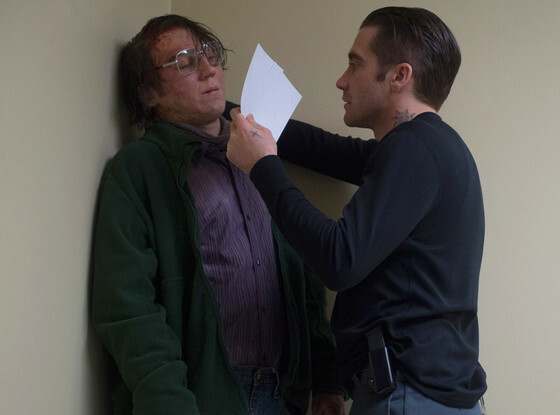 Prisoners is tied together nicely and is one of the best thrillers you may ever see. Initially unsure what to expect from director Denis Villeneuve whose work is rather unfamiliar to me, I rested my concerns in the knowledge that the cast was full of actors who I appreciated in their trade. 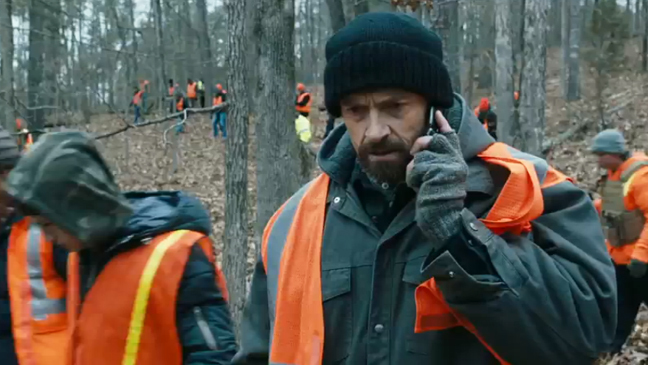 The cast not only includes Hugh Jackman in a performance that trumps almost every one of his prior to, but he is accompanied by the perfect actors cast in their respective roles to tell this story that captivates the attention, emotion and anxiety of all who watch. 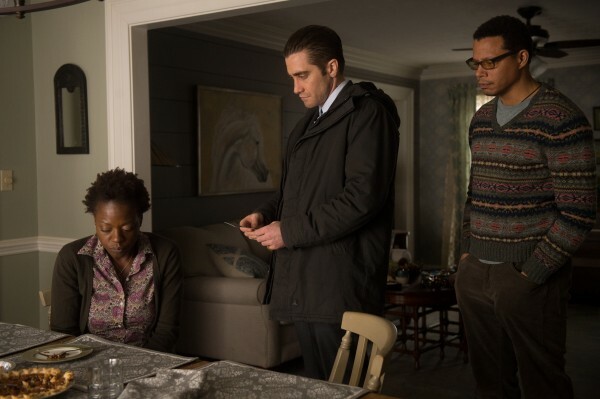 In no particular order, take a glance at the rest of this amazing cast assembled in Prisoners: Viola Davis, Maria Bello (good to see her in a solid role such as this), Terrence Howard, David Dastmalchian, Paul Dano, Melissa Leo, Jake Gyllenhaal, Wayne Duvall and more. All of them…impressive. The characters they portray, each of them, all have their own story, passion and character that is flushed out and shown in a manner that gives each audience member someone of their to relate and to walk in their shoes. I can’t praise each of their performances enough. Prisoners keeps viewers engaged and invested in the terror, fright and reality of its intense and sensitive story. Guessing the entire way through, there is very little predictability in this film as it enables you to go along for the terrifying journey and mystery surrounding the disappearance of the two young daughters. 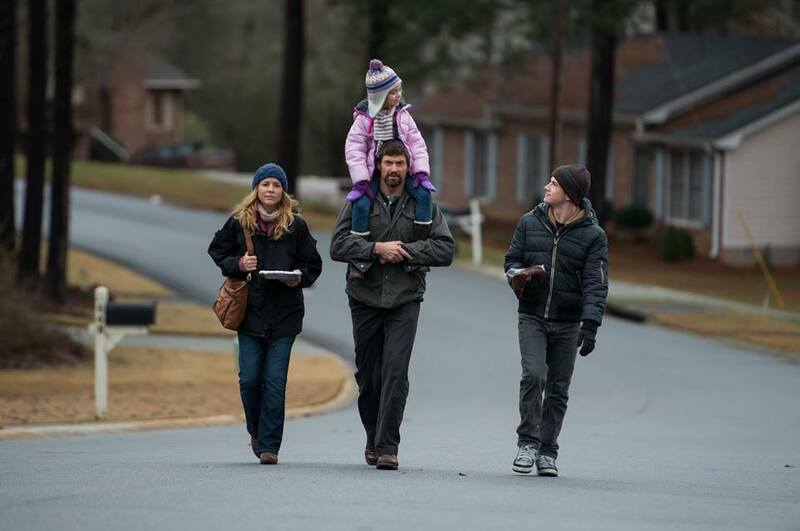 A convincing cast paired with an equally convincing story makes watching Prisoners an experience not soon forgotten. …but, I will say that it is perhaps just as creepy, twisted and mysterious as Se7en, Zodiac, Silence of the Lambs and other such crime thrillers. Don’t think that you will have all of the pieces of the puzzle figured out within the first 30 minutes as you will work “with” the detective to piece all of the clues and still, perhaps not know the end by the time it comes. 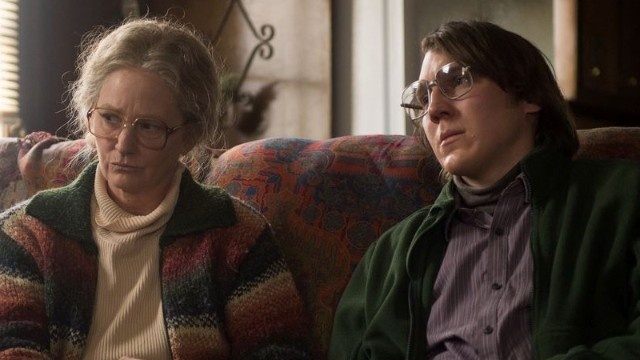 Prisoners starts off incredibly strong, quickly draws the viewer into the conceivable world of these two families and keeps you guessing throughout. Its mix of characters all add to the story’s telling which will entertain, frighten and intrigue. 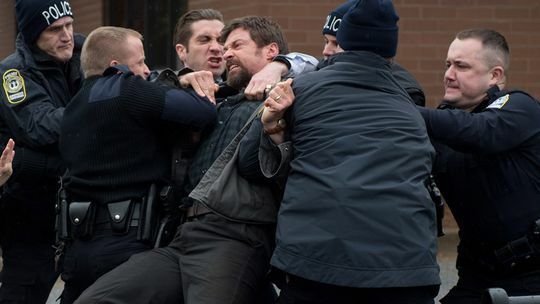 With a final act that almost maintains the same level of craftiness but falls short with certain plot points (the screenplay, written by Aaron Guzikowski is a far cry better than his previous screenplay work on Contraband), Prisoners is pretty well balanced and will keep audiences on the edge of their seats even past the expected “aha” moments and reveals. There’s so much more I could say about Prisoners but you need to go incarcerate yourself in the nearest theater and experience it for yourself. A solid film full of mystery, drama and characters that should not be missed by fans of such films. Good review! I am so stoked for this movie. Most recent crime thrillers have been average at best like “The Factory” and even “The Frozen Ground” (which was pretty decent but not great) but this really one sounds like it will be a refreshing and chilling entry in the genre. Good job. Thanks! it really is chilling and refreshingly done. Thank you for reading. This is the only movie to come out during the past several weeks that I find the slightest bit interesting. Enjoyed the review. Looks like I finally have something I can go see. thank you for enjoying the review, Keith. Great ensemble to go along very well with great material. Basically, it creates a very good film, that’s very close to being great itself. Nice review T.
everyone so well cast in this film weren’t they? wow. Nice review man, and a fantastic bloody trailer. Looking forward to checking this out. what a ride it is to watch. Thanks for stopping in. Sounds like you have similar thoughts on this as Ted does, T, though he gave just a slightly lower rating. He went to the screening instead me as I would rather just rent this one. Man. Really good movie on many levels, great performances, awesome direction. But such an unpleasant viewing! I was squirming the whole time. One of those strange, “It’s good but I’m not sure I’d recommend it” movies. Good review. it is one of those that you hope you don’t get a squeaky theater seat for. haha. Great review, Terrence. This has looked like a fascinating one. thank you Morgan. it def is very well constructed and told.